In an era of Citizens United and 8-figure paychecks for CEOs, most of us imagine that corporations have never been more powerful. Yet public corporations companies that sell shares to the public, rather than being privately owned are in retreat in the US, while alternative ways of organizing business, are on the rise. To many this will sound like good news but Gerald Davis points out that there's a considerable downside. In their heyday public corporations provided good salaries, benefits, training, lifetime employment, and retirement pensions features that are conspicuously absent from newer models championed by companies like Uber. The consequences of corporate decline in the US are stark: greater inequality, less mobility, and a frayed social safety net. expanding the middle class, and the economic pressures that are making it unsustainable. The future could see either increasing polarization, as careers turn into jobs and jobs turn into tasks, or a more democratic economy built from the grassroots. Davis explains how we got here and lays out the choices ahead of us. Since the turn of the 20th century, the corporation has become a central institution whose imprint extends broadly through society. From the food we eat and the clothes we wear to the cars we drive and the smartphones we can’t seem to live without—corporations permeate our lives. At the same time, the corporation as we came to know it has changed in fundamental ways. The sprawling, vertically integrated industrial rms like General Motors, which dominated the U.S. economy during most of the 20th century and provided stable employment, pay, and benefits for millions of workers, are seemingly going the way of tailfinned cars and soda jerks. In their place are the likes of Uber and many giant retailers who provide tenuous employment, unpredictable pay, and meager (if any) benefits. How did this all unfold? How did the corporate society that characterized most of the 20th century come to be? What factors led to the changes we see today? How have those changes affected society? And what does the future hold in this brave new world? These are the questions that University of Michigan management and sociology professor Gerald Davis set out to answer in The Vanishing American Corporation. Throughout the book Davis deftly, and at times humorously, summarizes years of scholarly research, inserting lively quotes and anecdotes to emphasize his main arguments. He begins by carefully denying what a corporation is and is not. While in common parlance “corporation” is often used as a synonym for “business,” Davis reminds us that a corporation is a specific kind of organization with a denied set of attributes. His focus throughout the book is the public corporation—that is, one whose equity sells freely on a stock exchange. His main thesis is that the public corporation was designed to solve a set of problems unique to a given time and place. Given the dramatic changes to the U.S. economy and how work is organized in it, the public corporation is ill-equipped to be the dominant business form going forward. Davis provides a thorough summary of how the public corpo- ration came to dominate the U.S. economy. In the early decades of the 20th century, the types of corporations that proliferated required signi cant capital to achieve the economies of scale necessary to maximize pro ts. Interventions from the government and organized labor, however, helped shape the contours of the corporation, influencing the scope of activities for which it was held responsible. Rather than just a mechanism for pro t generation, the corporation also became a social institution. During this period, the primary strategic imperative for the corporation was growth. The largest corporations became massive enterprises, employing millions of workers and comprised of a portfolio of often-unrelated businesses. By the 1970s, this strategy became untenable, as agging financial performance undermined the efficacy of the conglomerate form. By the 1980s, legal changes ushered in by the Reagan administration, along with a changing ideological landscape, provided both the means and the rationale necessary to break these corporations into their component parts. In concert with these legal changes, the U.S. economy’s cen- ter of gravity swung to Wall Street. Davis explains how shifts in company-sponsored retirement plans to the now ubiquitous 401(k) led to an increasing number of Americans indirectly owning stock through mutual funds. With billions of dollars at their disposal, institutional investors could effectively pressure rms to engage in tactics designed to maximize pro ts. In response, corporations began to focus on a narrower set of core activities, while outsourcing and contracting out everything else. Davis refers to this as “Nike- cation,” after the business model employed to great effect by Nike. Our televisions, computers, phones, clothes, pet food, and, in fact, most of the products we use every day, are not made by the corporations whose name appears on the label. They are made by a series of contractors around the world (often in deplorable working conditions). Interestingly, Davis contends that the seeds of the corporation’s decline were planted by Wall Street. The primary benefit of going public is the firm is able to raise large sums of capital to fund operations. In a world where economies of scale meant bigger is better, going public makes sense. However, the shareholder value movement meant that smaller was now better, and as such, the main rationale for most businesses to go public has disappeared. Because going public entails significant costs and financial reporting and appeasing investors and analysts, to name a few—the main reason now for rms to go public is to reward founders, employees, and early investors. Davis rightfully points out, however, that these are not compelling reasons for later investors to buy shares on the open market, especially when founders maintain majority control through dual share classes—an increasingly popular tactic in Silicon Valley. Meanwhile, in an effort to avoid Wall Street scrutiny, many public corporations have gone private, while others have foregone going public altogether. Maybe it is not so surprising, then, that the number of publicly traded companies in the United States declined by half between 1997 and 2012. 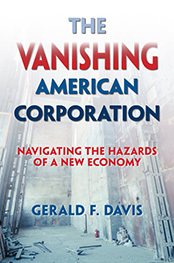 Davis then shifts his attention to the consequences of the corporation’s demise. The United States has a unique form of welfare where employers, as opposed to the government, be- came the primary supplier of health care and retirement benefits. As fewer workers are now employed by the corporations offering these benefits, and as many forms have shifted health and retirement costs onto their workforces, there are now significant holes in the social safety net (that the government is at least beginning to ll). Additionally, Davis argues that corporations played an important role in lowering income inequality and providing avenues for worker mobility. Corporations may be the paragon of inequality, replete with their pyramid-shaped bureaucracies. However, large corporations, in an effort to maintain some sense of equity, compress wages by paying lower-skilled workers a premium over what they might earn on the open market. Moreover, within a firm’s boundaries, a worker had some hope of moving up through the ranks to higher-paying jobs. Absent these large bureaucracies to provide structure for worker careers, the pathway to mobility has narrowed and become much more difficult to navigate. In a more hopeful spirit, Davis suggests that the demise of the corporate form leaves behind it a set of building blocks from which a more equitable and sustainable economy might emerge. Without (as many) public corporations, the power of Wall Street will be curtailed, and along with it, the pathologies that a nance-driven economy spawns. Moreover, the gap left by corporations can be filled by a diverse set of forms. 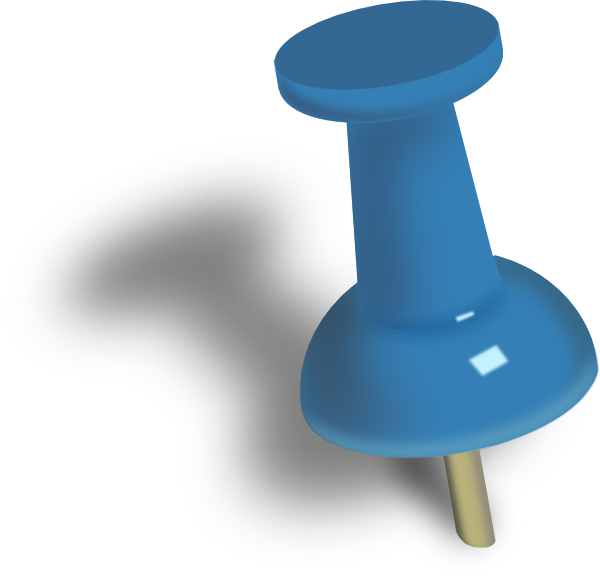 These new forms may be more local and democratic in orientation, making them more sustainable and equal. However, Davis also suggests a starker alternative—an Uber-ized society full of “micro-entrepreneurs” where no one is an employee and thus not subject to the rights and benefits formal employment provides. Davis concludes with advice for how workers can best navigate the post-corporate society. He reminds us that eras of massive technological advancement create massive social dislocation. In the short term, it is nearly impossible to predict today what jobs will be important ve years from now. So he suggests developing a broad set of skills around technological fluency and a mindset about how to think about important problems and their possible solutions. The main problem Davis has in mind is a fundamental one: If the world is changing in ways that cause social dislocation, how can we soften the blow?